I first came upon E.J. Newman’s work in the fall of last year when I was still trying to work up the courage to start writing. I read a great blog post that she wrote about how she managed to basically write a full length first draft within the span of a little over a month. Though my writing experience hasn’t quite matched that level of prolific output, I give her credit for pushing me to realize that maybe with the right mindset, I too could accomplish seemingly unbelievable feats. Shortly afterward, I picked up a copy of her first book, 20 Years Later, of which much of this interview is concerned with. I think we kept it as spoiler-free as possible, so don’t worry if you haven’t read it yet. First, can you say a little bit about yourself and how you decided to devote yourself to writing? I started writing stories at the age of four, according to my grandmother, and I’m now 35. Apart from a ten year long writing block caused by my first success with a story (fear is a powerful thing) I’ve been writing all that time. I tried lots of other jobs, I’ve been successful other careers, but it became clear over the last two years or so that the only thing that made me feel truly content was writing fiction every day. So I devoted myself to finding a way to do that full time (I managed to secure private funding for my next series) and I’ve never looked back. In fact, it feels like all of my life so far has been about finding the way to live this writing life. As for other stuff about me? Well, I really don’t like talking about myself, but if you’re really curious I’m also an audiobook narrator, I live in Somerset, England and I know how to make an excellent cup of tea. That’s only because I get a lot of practise sustaining my tea consumption. I’m a geek, I love sci-fi with a passion, and I recently discovered I like making Steampunk costumes too. My favourite hobby is roleplaying. 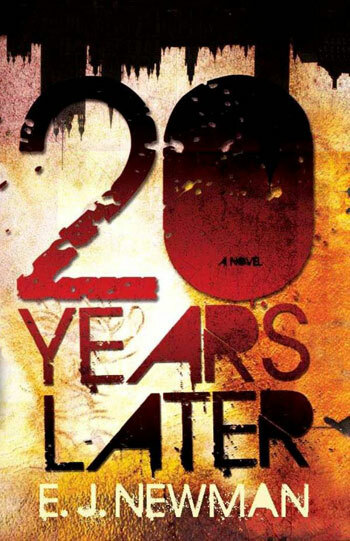 20 Years Later is a dystopian young adult novel set in 2032 London, 20 years after a strange event nearly wipes out the human race. What is it about the dystopian that you think resonates with people? There is a lot of post-apocalyptic influence in 20 Years Later too, I think it spans both sub-genres, so I’ll talk about both if that’s okay? I think dystopian is resonant because it’s what is around us now but writ large. Read 1984 and it’s terrifying, because it’s happening now, just in a more subtle way. In most dystopian fiction the reader is given a hero who resists the system, who wants to fight despite how dangerous it is – thereby enabling us to live out our own fantasies vicariously. As for the popularity of the post-apocalyptic sub-genre, I think it taps into a fundamental fear and a deep desire within all of us. We know, deep down, that our soft, easy modern lifestyle is built on very fragile foundations and could easy crumble. That’s a frightening prospect, as unlike our ancestors, a lot of us have never had to struggle to survive. The desire comes from the wish we could just have a simple life, do what we want, when we want. Of course, that wouldn’t be the case if society collapsed, even if we found a safe place, the everyday business of survival would take all our time; bye bye leisure activities. It’s a fantasy – the reality would be awful, but being able to explore it from the comfort of our armchair is very enjoyable. Why did you choose to write a dystopian novel specifically for the Young Adult audience? That question implies that I knew it was for that audience when I wrote the first draft, and I actually didn’t, I knew absolutely nothing about market segmentation, I just knew I had to write the story down. After I finished it and learnt about publishing, how books were marketed and looked at what kinds of things people were talking about I realised that 20 Years Later would fit more into that segment than any other. Knowing it was for a young adult audience certainly informed decisions in the editing and redrafting process, but that came a long time after the story and characters in all honesty. It also affected who I could approach when I was looking for publishers. Do you think that this theme resonates more with today’s youth considering the challenges that younger generations will face in the future? I don’t think it’s necessarily about today’s youth per se as I think this is a cyclical thing – every twenty to thirty years it seems dystopian / post-apocalyptic novels surge in popularity, probably in response to whatever the current generation is worrying about. I think today’s youth are no different to any other generation in that they are deeply worried about the world, and how it’s being relentlessly screwed up by those in power. Plus ça change, eh? The main character is a remarkably sensitive young man who seems to struggle with the protection his mother has given him growing up and his need to become his own person. At the same time he has a network of friends who care deeply for him and are eager to help out. What made you craft his character in that way? (Laughs). You make it sound like I sat down and made several critical decisions about Zane before I met him at the page. It wasn’t like that for me, it’s more to do with the way the story developed before making it into a book, and the way the book evolved too. That being said, I did make the decision to keep him innocent in such an awful place. One of the things that Zane does is provide a foil for the rest of the world; he’s been raised in a utopian setting, and gradually discovers that it isn’t like that everywhere else. I like that idea, I suppose for me it reflects that awkward time we all go through when we realise that there is a big world out there that is scary and dangerous and full of people who don’t care about you and don’t have the same values as you do. I also think it’s implausible for a young man who has grown up within a very safe, very protected environment with a lot of love and support from his mother, no access to TV, wider culture or even a proper peer group to be anything but very sensitive and very young compared to today’s fifteen year olds. Despite that, he still has the same basic drive to separate from the home and strike out into the world, it’s just a really difficult process for him. Because of all the support, there’s an almost hopeful quality to the novel. What made you choose to go that route versus a more bleak theme? Does it reflect your own hopes for the future? I think the book deals with bleak and very dark themes, but that doesn’t mean it all has to be so. If it reflects anything it’s my belief that friendship can make everything easier to endure – that is the truly hopeful thing for me anyway. I can’t decide whether I am hopeful for the future or not. I see so many ways in which mankind has progressed, but then I see so many ways in which it’s clear we’re still driven by our most base instincts and there’s no sign of that changing. It’s also probably affected by how recently I’ve had a nice cup of tea too. This novel started out as a series of podcasts, do you prefer the podcasting medium to print (paper or electronic) publishing? The public life of the novel started as podcasts, the story started life as a roleplaying game that I ran years before I wrote the book, so it’s had a less than average route to the readers. I decided to podcast because I’d been trying to get a publisher / agent for a while and kept getting “It’s good but not for me” kinds of responses. I was deeply frustrated and whilst I really did believe in the book, I was worried I was delusional. I wanted to get wider feedback but didn’t want to put the text online for obvious reasons and podcasting seemed to be the solution. The response was fantastic. People loved the book and also loved my voice, which was a total shock to me, and they encouraged me to read professionally. That’s how the audio book narration started, I’ve recorded several novels for Iambik Audio and I release an audio version of my weekly Split Worlds series now too. But to go back to your question, I see them as completely different things and thus hard to compare. As a writer, I enjoy being able to give people a choice in how they consume my work. When you write a book, there is an interaction between the book and the reader – the reader takes things into the book with them that you simply cannot anticipate. When a book is narrated, the narrator also adds their own influence; for example, the voices used for different characters, or the inflection used at various points. Some sentences can mean completely different things just by the way they are intonated. So then you end up with three people in that dynamic. 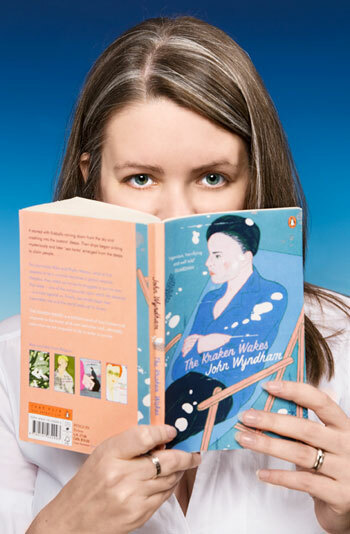 I love all that, and I love narrating as it really is like climbing inside the book – a very deep way to consume it. What advice do you have for aspiring writers that you wish you had known before? Does “don’t listen to advice from other writers” count? Seriously, when I was learning how to write novels, and finding my voice and all of that malarkey, I wasted a lot of time and energy seeking some magical advice that would make it all easier. I kept thinking that one of those authors I admired must know some secret, some way to get books written. It can be hard, you have to write and read a lot. A lot. But how you write, when you write, what and how much you write is something only you can discover, in my opinion. In the early days I fretted if I didn’t write as much as certain people, I fretted if I didn’t approach my work in the same way – when I started to genuinely apply myself and experiment with all of that kind of stuff I started to make real progress. We all have to find our own way. When it comes to novels (I’ve just finished writing my fifth) I write best in intensive sprints of 3000-4000 words a day for about five weeks to get the first draft down, some of my best writing buddies are the complete opposite. Neither is right, wrong, perfect nor inadvisable – we have just found what works for us, and no-one else could tell us what it was. This is a bit of an oddball question, but I love to cook, is there a favorite recipe that you could share? Oh dear, I’m afraid I’m not a foodie at all – if someone invented a magic pill that meant I didn’t have to eat, I’d take it! I’m very lucky that my husband likes cooking, so he takes care of all the food. Sorry. Emma Newman lives in Somerset, England and drinks far too much tea. She writes dark short stories, post-apocalyptic novels and records audiobooks in all genres. Her debut short-story collection From Dark Places was published in 2011 and she’s celebrating the recent publication of 20 Years Later, her debut post-apocalyptic novel for young adults. Emma recently secured funding to write a new five book urban fantasy series called the Split Worlds and is releasing a short story every week set there. Her hobbies include making Steampunk costumes and playing RPGs. You can almost always find her on Twitter @emapocalyptic and she blogs at www.enewman.co.uk, rarely gets enough sleep and refuses to eat mushrooms.